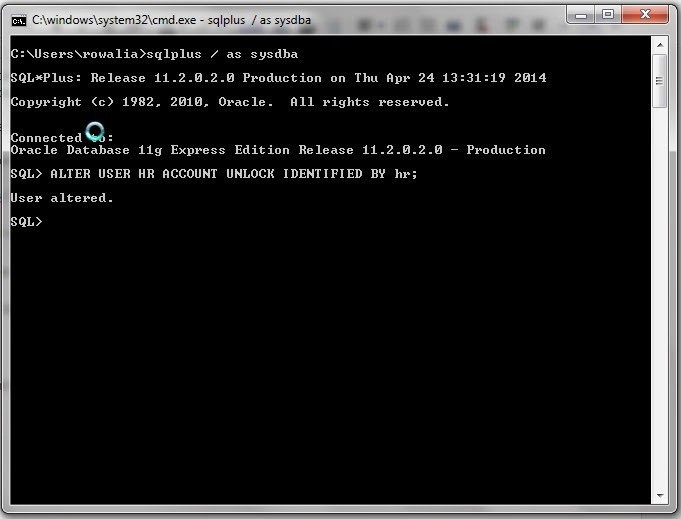 In this post I will be showing the steps to how to unlock HR account in Oracle XE database. After some days, when you try to access HR schema, it says Account Locked. I always forget the steps in order to unlock the HR schema, so that's the reason I am writing this simple post. This will not ask password and will open the SQL plus prompt. Now after this enter the command to unlock the HR account. And that's it. This will unlock the account and you will be able to access HR schema again.